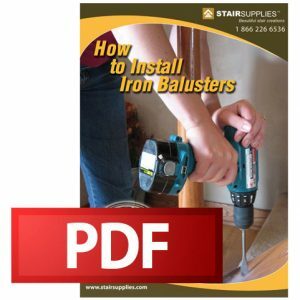 The above products are recommended for installation or mounting of the 16.6.1 Double Bar Iron Baluster. What is the total width of this baluster? Thank you for contacting us with your question, Cade. 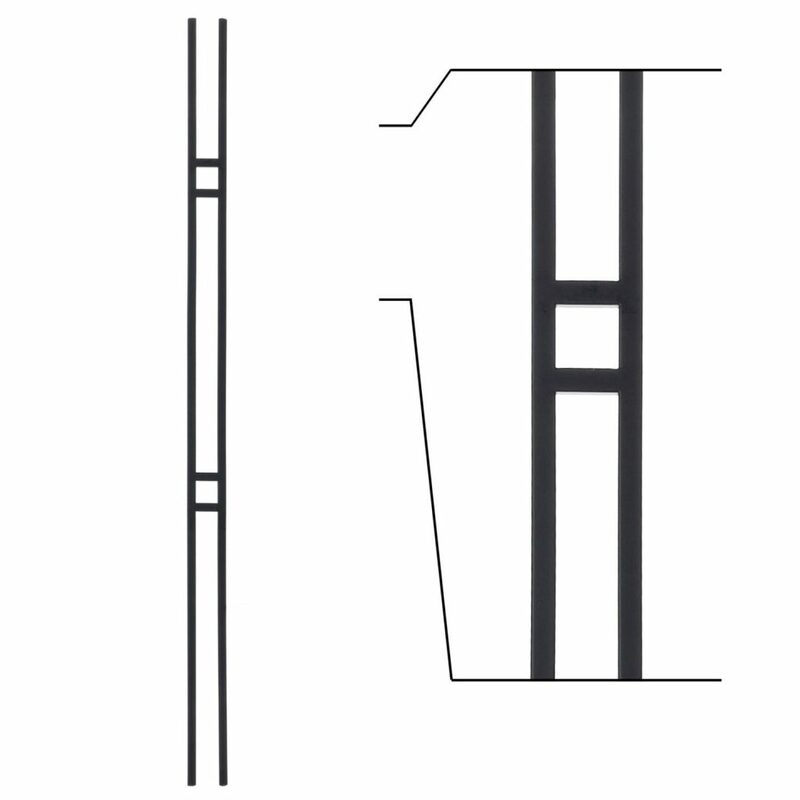 This particular baluster width is 2 1/4″. So would 2 flat aluminum shoes (16.3.19) fit on the bottom of this double bar iron baluster (16.6.1)? Yes, 2 flat shoes would fit side by side on the end of this baluster. It’s a tight fit, but there is just enough space. Hello, how do I install these double bar balusters on an angled knee wall (i.e., closed tread)? Do I have to cut one of the bars to compensate for the angle? Yes, you will need to cut the higher bar short to compensate for the angle. Then, use them in tandem with the 16.3.2 Angled Aluminum Shoe to finish the look. How many inches are between the top square and the bottom square? The distance from the top of the baluster to the top of the first square is 8″. The space between the squares is 15 3/4″. The space from the bottom of the second square to the bottom of the baluster is 15 3/4″ as well. Each of the squares, from top horizontal bar to bottom horizontal bar, is 2 1/4″. Given that this is hollow, how well does it hold up over time? Do they dent or get damaged easy? Thanks for your questions. Although hollow balusters are structurally sound, they would bend or dent more easily than a solid equivalent. If you would like more information about load testing please give our team a call at 1 (866) 226-6536. Can I get the ash gray color paint for touch-ups? We recommend getting in touch with a member of our customer support staff if you are in need of a touch up kit for your iron balusters. You can reach us at 1 (866) 226-6536. Can these be used for outdoor projects, or are they only made for interior stairwells? Tricia, thanks for contacting StairSupplies. All StairSupplies Wrought Iron Balusters are intended for interior use. If you have any other questions, you can call one of our customer support specialists at (866) 226 6536.